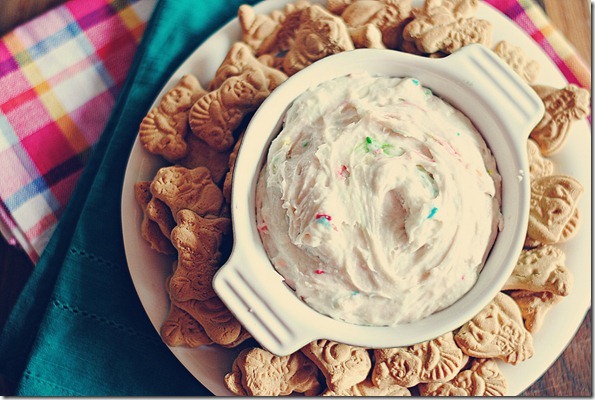 A Little Colorful Chaos: Funfetti Cake Dip! So, this happened. While patrolling one of my favorite blogs Eat Yourself Skinny looking for more party foods, I stumbled across this dip. With zero control, my mouth immediately said "Hell yes" out loud. Good thing nobody heard me but Duke. Apparently it is also low in fat & calories, but when it came to our house warming party, calories weren't exactly on the mind. I stole the final pic below from Eat Yourself Skinny because the second I was able to get this dip into a bowl, hungry party-goers were already eating it. Guess I'll just have to make it again to get another picture! Cook time according to Rachel: Same! 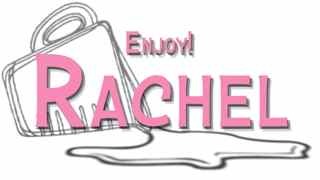 How difficult was this for Rachel to make? Easy breezy! In a large bowl, mix cake mix, yogurt & cool whip until completely combined. Cover with plastic wrap and chill for 4 hours.